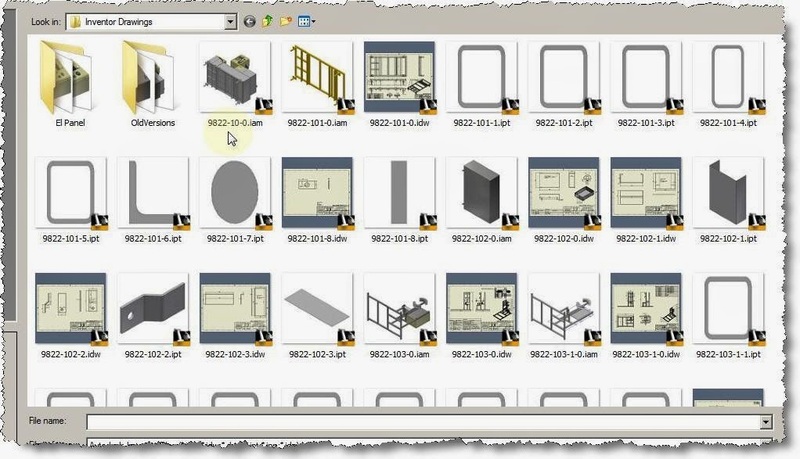 Today I will show you how to use the codify tool on the mExtension toolbar. 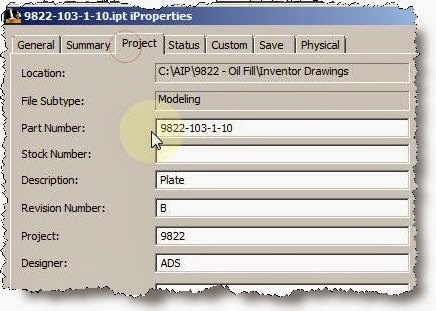 This tool will allow you to set part numbers for all models and rename them along with the drawings without any loose of links in-between them. 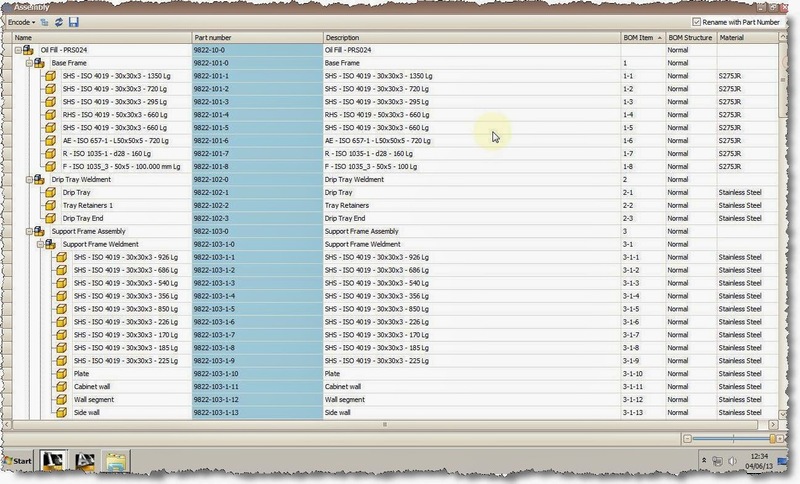 At any design stage you can use Codify to clean up the project sorting part numbers for all models. The project part numbers can be assigned in a structural way or plain sequential numbers. 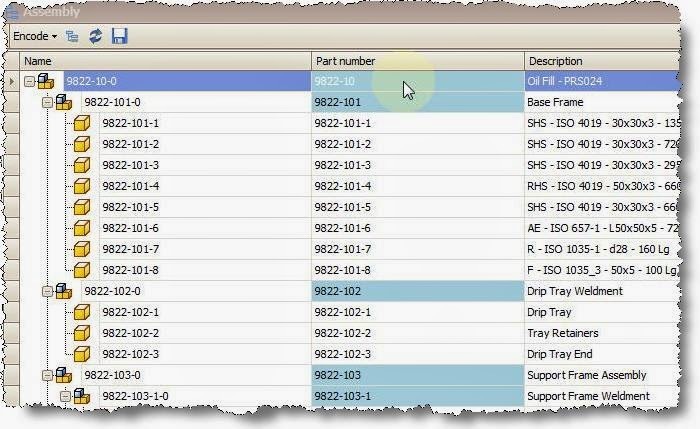 I can include, exclude components from the process as well as locate on disk, in the assembly or open the component. As you can see all the library files like Content Center Files and Purchased Parts are grayed out so we can’t modify them. Some of the items are show in “italics” meaning that they are reused throughout the project several times. 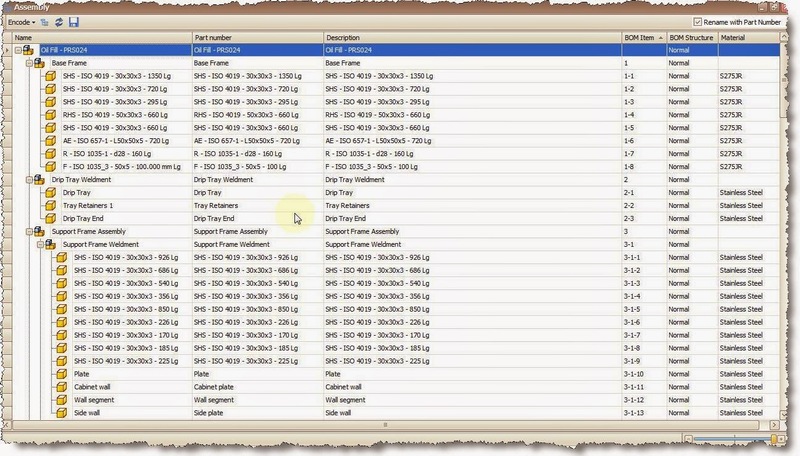 Now let’s look at the part number generator. I can have a prefix and a suffix, and as you see I use a digit “d” for every sublevel component you can put “dd” for two digit, or letters or any combination so that virtually any code sequence can be generated. You can change delimiter to a “.” or a ”+” or anything you can type at the keyboard. In this current situation the manufactured products start at 100 so after matching the Header I can press apply. I have also kept the Mark Assembly box ticked so that all assemblies end in “0”, it’s something we use to make it easier to spot. You will notice that the label item that was reused has been codified only once with the first part number available based on it’s position in the structure. 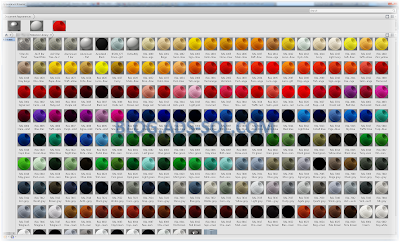 I have marked the Rename with Part Number so that it will rename the models and drawings once I click save. I will cut the video short but you can watch the clock on the lower right corner to see that it took just under 5 minutes to allocate part numbers to all models and to rename them as well as rename the drawings. I would have taken me all day to rename 90 files by hand and fix the broken links. 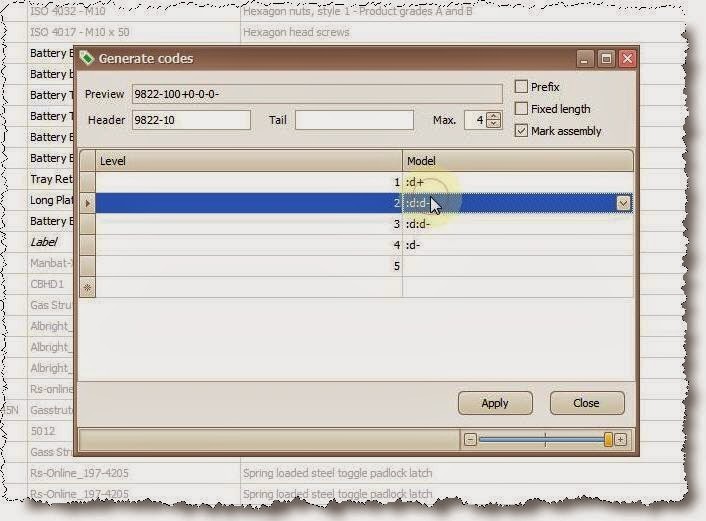 As a demonstration I will use the rename tool again and take off the Mark Assemblies option to get rid of the trailing zeros at the end of the assemblies. Getting back to my assembly we can see that the browser nodes were renamed as well and from my project folder we will chose a random part to check the results. Open the part and then the drawing from within to verify the results. I got a nice neat looking folder with proper named files and I am ready to send it for manufacturing. This concludes the presentation on Codify function on the mExtension toolbar.